November may be Osteoporosis Month, but just five per cent of Canadians consider themselves to be knowledgeable about the disease whose resultant bone fractures are more common than heart attack, stroke and breast cancer combined. To help protect yourself, it's time to get better informed. Dr. Famida Jiwa President and CEO, Osteoporosis Canada. November may be Osteoporosis Month, but just five per cent of Canadians consider themselves to be knowledgeable about the disease whose resultant bone fractures are more common than heart attack, stroke and breast cancer combined. To help protect yourself, it's time to get better informed -- and challenge common misperceptions that can impact your ability to stay healthy. Many people think that osteoporosis is a natural part of aging, but this is simply not true. Osteoporosis develops when bone resorption happens faster than bone building, causing bones to become thin and porous, decreasing bone strength and leading to increased risk of breaking a bone, which can occur for a variety of reasons. Over 80 per cent of fractures in people 50 and older are caused by osteoporosis. Until a bone breaks, there are often no symptoms, which is why osteoporosis is often called the "silent thief." Steps can be taken to reduce the risk of osteoporosis and even prevent it, everyone aged 30 and older is encouraged to speak to a health-care professional about the disease and the steps that they can start to take now and throughout life to protect themselves. Osteoporosis affects men as well as women. 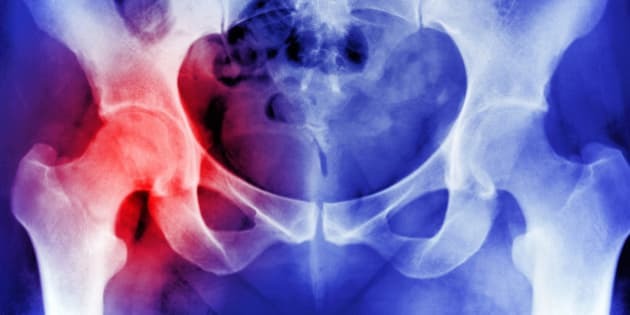 In fact, at least one in five men will suffer from an osteoporotic fracture during their lifetime, and today one quarter of the 30,000 hip fractures caused by osteoporosis are in men, which can be debilitating and even life-threatening. •	Weigh less than 60kg or 132lbs. Calcium is important. Guidelines recommend consumption of 1,000 to 1,200mg of calcium per day, but many Canadians fail to reach this level with their dietary intake -- with some getting as little as 300mg a day. While calcium and vitamin D are essential for your bones, they are not the only important nutrients. A well-balanced diet, made up of all the four food groups in Canada's Food Guide, will help you to meet your daily requirements. There are very few food sources of vitamin D. In fact, it is impossible for adults to get sufficient vitamin D from diet alone, no matter how good their nutrition. Therefore, Osteoporosis Canada recommends routine vitamin D supplementation for all Canadian adults year round. Healthy adults between 19 to 50 years of age, including pregnant or breast feeding women, require 400 to 1,000 IU daily. Those over 50 or those younger adults at high risk (with osteoporosis, multiple fractures, or conditions affecting vitamin D absorption) should receive 800 to 2,000 IU daily. Bone is made up of protein, a nutrient that is necessary for building and repairing body tissues including bones. Protein gives bone its strength and flexibility. Protein is also the big component of muscles, which are, of course, crucial for mobility and in preventing falls. The "meat and alternatives" food group provides your body with protein. Meat and alternatives also contain other vitamins and minerals that are essential for overall good health. The "meats" include beef, pork, poultry and fish. The "alternatives" include beans, lentils, tofu, eggs, peanut (or other nut) butter, shelled nuts and seeds. Milk products are also a good source of protein and have the added advantage of being good sources of calcium. Fluid milk also contains vitamin D.
Use this calcium calculator to learn whether you're getting enough calcium from your diet, and speak with a health-care professional if you have any concerns. Osteoporosis can result in disfigurement, lowered self-esteem, reduction or loss of mobility, and decreased independence. Prevention is paramount and needs to start early. Osteoporosis is a very serious, but preventable disease, and that's why it is never too early to start thinking about bone health and the small steps you can take, at any age, to reduce your risk. For more information, please visit Osteoporosis.ca, or join the conversation on Facebook and Twitter. Osteoporosis Canada is Canada's expert body for information about osteoporosis management and risk reduction. Over half of Canadians recognize Osteoporosis Canada as the leader in providing information about osteoporosis. Osteoporosis Canada offers a wide-range of credible, evidence-based resources for consumers, patients and health-care professionals to learn more about osteoporosis and how to minimize your risk of breaking a bone.